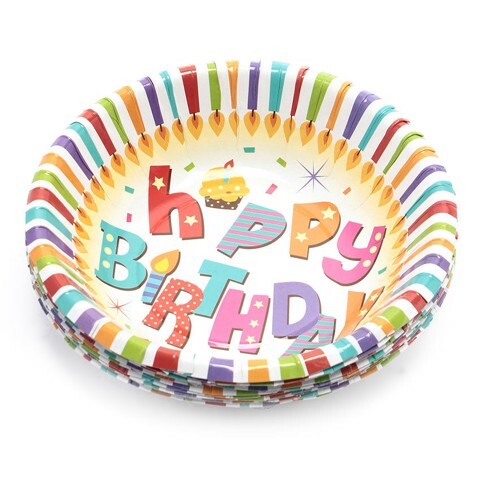 Paper Plates 23Cm 10Pk 4Asst. 23cm Diameter. Birthday Cake | Ballerina l Star with Balloons l Cup Cake. 300gsm Paper | 4 Colour | Gloss Lamination. 300G Packaging: Polybag with Header Card.